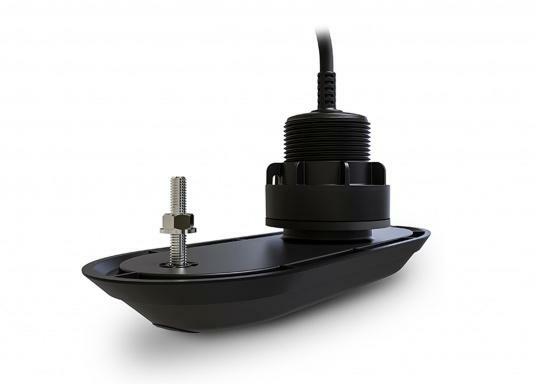 Plastic thru-hull transducer RV-300 for direct connection to your Raymarine AXIOM multifunction display. 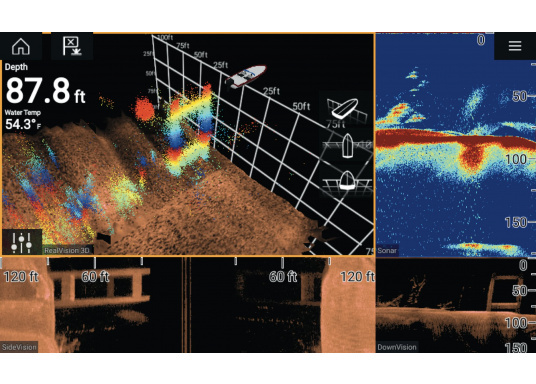 Lifelike clarity and optimally recognizable structures with RealVision 3D Sonar. €869.95 Incl. tax, excl. shipping. 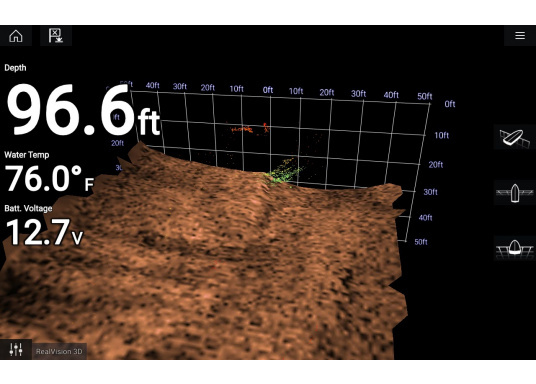 The plastic breakthrough transducer RV-300 is a 4-channel, broadband CHIRP transmitter with down and side vision as well as a high frequency CHIRP fish search function. In addition, the encoder measures the water temperature and transmits the data to the AXIOM for display. 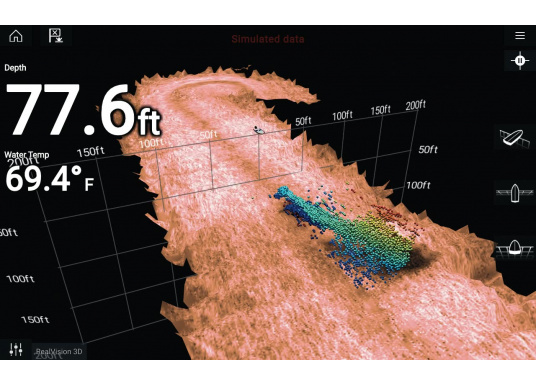 A built-in course / depth reference system (AHRS), which stabilizes the sonar images, you will always experience crisp images, even in moderate swell. The sensor is mounted through a hole in the hullwith a supported hull cross section angle of 0 - 5 °. The RV-300 comes with an 8 meter long cable and all mounting hardware. Wird der Sensor direkt am AXIOM angeschlossen oder über SeaTalkng im System eingebunden? An einem Axiom RV oder Axiom Pro RVX kann der RV 300 direkt angeschlossen werden.